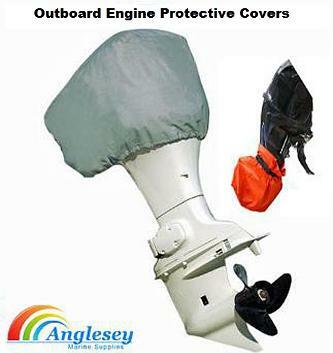 Anglesey Marine Supplies...Outboard engine covers and Outboard Prop covers and outboard Prop Bags for all sizes of boat outboards. Quality covers fitted with pull cords. Protect your engine..Perfect for winterization, Quality Boat Covers At Sensible Prices. Protect your boat outboard engine during storage with our outboard engine covers, made from viable plastic, comes complete with cord to enable a secure fit. A necessity when winterizing your boat. Strong durable design. 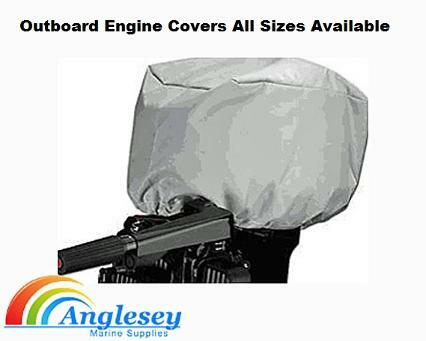 Outboard engine cover available in all sizes small medium and large. A legal requirement when traveling on all UK roads, outboard engine propeller bag come complete with cord, travel safely. Keep your outboard engine safe and out of harms way. 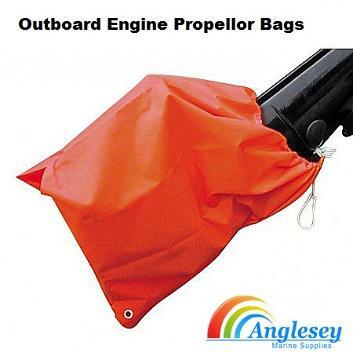 Quality outboard engine prop bags.